The entrepreneur and award-winning vintner tells D CEO what he likes to drink. Dallas entrepreneur Craig Hall is known around these parts for his real estate, financing, and high-tech projects, as well as his vast collection of art. But in California, he’s mostly known for being an award-winning vintner. 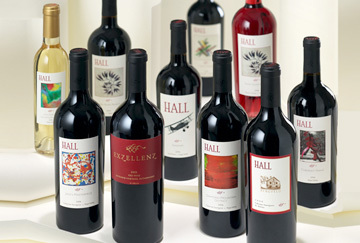 Hall and his wife Kathryn bought the Bergfeld winery in St. Helena, Calif., in 2003. Two years later, they opened a winery in the Sacrashe Vineyard in the hills of nearby Rutherford, Calif. Today the couple owns more than 500 acres of classic Bordeaux varietals: Cabernet Sauvignon, Sauvignon Blanc, and Merlot.